I am definitely not a rock star in the shop local movement. However, there are certain stores in or near our city that we try to frequent for certain items. It is so sad to see your favorite little businesses go under because the big, evil box stores (Walmart I am looking at you) can offer a much more competitive price or selection. At what cost though? I was going to include annoying customers (think...http://www.peopleofwalmart.com/) but I suppose this is beyond the control of any company...and my purpose of this post is not to bash Walmart! On Tuesday Emmett and I made the short trip up to By Nature in Orillia. A friend referred me to this store while I was pregnant with Emmett and starting up my CD stash. 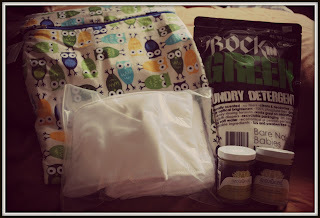 At first I spent lots of time on their website browsing, filling and emptying and filling my cart again with cloth diapers, pregnancy teas and lotions and other random things. Finally, I decided I need to take the trip to Orillia and check out the store. We've been back many, many times. It's a small and simple shop on a side street in Orillia (just off Memorial if you are familiar with the area!). The shelves are filled with natural and organic baby products, pregnant and Mommy products, toys and more. We have purchased probably close to 1/3 of our diaper stash here. As well as all our laundry detergent, wet bags, swim diapers, teas for during and after pregnancy, our baby carrier and more from this lovely shop! The shop owner, Tamara, is a wonderful lady. She and her staff are incredibly knowledgeable and passionate about the products that they sell. They are never to busy to answer your questions and if the shop isn't busy you might just end up with all the ladies working helping you to answer your questions. Tuesday Emmett and I, okay mainly I, went in with a purpose. 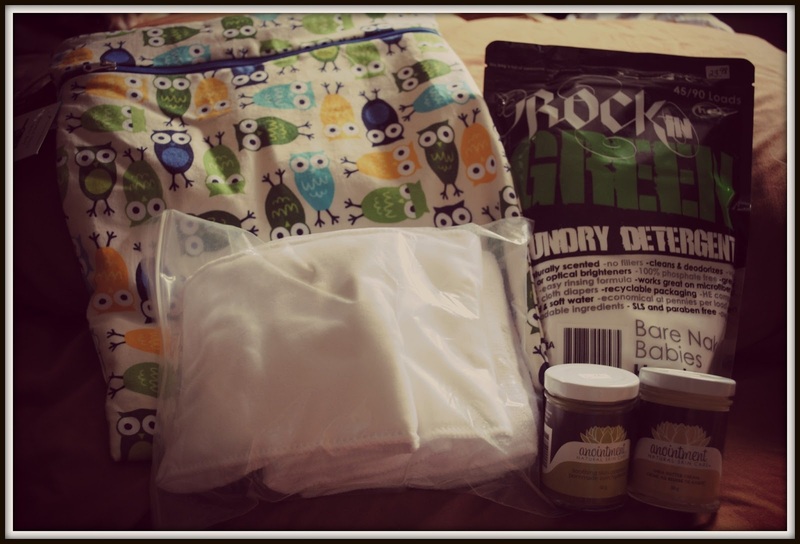 I needed more Hard Rock, a medium sized Sling Sister wet bag with dry pocket of course and I needed advice on a new diapering system for our outings. Especially since my goal of disposable free by September is getting closer! Tamara helped us figure out what we needed and even helped to save some money by using the stash that we have at home! I will be blogging about our new system soon! Each of the three ladies working that day helped us out with something! From finding products on the shelves, to explaining the benefits of certain creams and finding a new diaper system! They even made funny faces at Emmett, which of course was his favorite part, other than the giant fan they have on the ceiling. Okay, this is getting long. I'm probably going to have to do another post on this wonderful store...okay, I know for sure I will be doing another post on this store! Make sure you check them out either in Orillia or online bynature.ca!